The off-exchange derivatives space transitions to an on-exchange model as centralized reporting in Europe started with EMIR, and the U.S.
Just as reporting went underway for EMIR in Europe on February 12th, the U.S. is gearing up its start date of February 15th for trading to take place on registered SEFs (starting next week), as a number of OTC derivatives will be obliged to trade on the newly CFTC designated contract markets. Transactions across various asset classes and products obliged to trade on SEFs fall within two categories of dealing, including dealer-to-dealer (d2d) when one registered SEF will trade with another, and then on the other category involving dealer-to-client (d2c) transactions where a client either as a member (of the SEF) or via sponsored access will trade directly through the SEF, including access to non-members of SEFs with trading made on-behalf-of (OBO) clients. This week Bloomberg’s SEF reported that firms can use its sponsored access model, as it said the first such trade had taken place when the asset manager NISA Investment Advisors, LLC supported by its FCM Credit Suisse Securities (USA) LLC, executed a trade with Goldman Sachs via Bloomberg’s SEF, according to a press release it released. According to research compiled by Clarus Financial, Bloomberg commands 85% of the market share of dealer-to-client volumes, and Bloomberg yesterday reported that more than 600 global firms, including all the major liquidity providers, have signed on to use its Bloomberg’s SEF and how over $1 trillion in cross-asset volume has been executed since the October launch. According to people close to the company, market participants can execute using flexible trading protocols including request for quote, request for streaming and orderbook functionality, and Bloomberg’s SEF includes data, news and analytics integrated from the company Bloomberg Professional service. Forex Magnates reported both when the firm was the first to submit its SEF application with the CFTC, as well as when its application to operate an Swap Dealer Repository (SDR) became the fourth such SDR to become approved by the CFTC, although something Bloomberg is still working on to get operational. 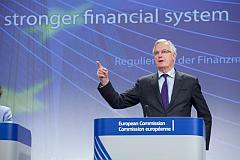 The firm also offers an EMIR related reporting solution, for firms in Europe to meet their needs. Forex Magnates notes that in the dealer-to-dealer segment, the enormity of volumes from interdealer brokers, such as ICAP, as an example, overshadow the other asset classes and d2c segment, mainly with regards to Interest Rate Swaps (IRSs). However, the distinction between these segments could become blurry as the context of the transactions may be viewed from a different perspective. The Made-Available-To-Trade (MAT) determinations that have been underway decide (after a self-certification process) which transactions must be carried out on a designated contract markets (DCM),which in this case are on registered SEFs, and a recent MAT submission by the SEF registered to Javelin had inadvertently brought up a flaw in the MAT process with regards to multi-legged transaction (involving more than one product/instrument), and the CFTC is looking at how to best overcome this with a round-table just held on February 12th, 2014 to discuss this. Just yesterday Tradeweb, also a SEF registered with the CFTC under TW SEF, announced it had completed the first trade by a FCM on behalf of (OBO) its client. Tradeweb also noted it will soon also support agency access to TW SEF through ISVs. In this model, customers gain indirect access to a SEF through an embedded SEF GUI or front-end portal provided by the ISV and/or introducing agent. According to people familiar with Tradeweb’s SEF model, the company is said to handle both the DMA-style sponsored access trade capability, as well as the OBO that it had reported about yesterday. The CFTC has published a list of 20 temporarily approved SEFs on its websites, with several applications still pending, and a list of all relevant documents for each SEF. 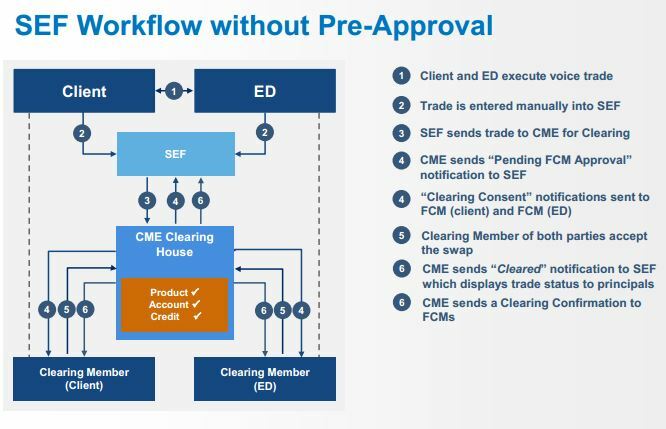 In an OBO swap transaction an introducing agent executes trades directly on an SEF on behalf of their clients using the platform provided by the SEF, whereas in a sponsored access model or DMA style trade, the introducing agent does not transact on behalf of client but rather supports its clients access to the SEF platform/user interface (to enters RFQs,etc..). The Trading Enablement Standardization Initiative (TESI), that we wrote about in recent months looked closely at the processes firms use to enable clients to trade, and with the focus on SEF trading increasingly change in the permissible requirements and new CFTC interpretations and guidance. As trading continues to evolve on SEFs, such initiatives could become key in providing an efficient harmonized process for onboarding and switching on trading for various participants, whether via sponsored access, OBO, via an ISV. Forex Magnates’ research team opines that derivatives trading volumes may dip ahead of the SEF transition, as some firms estimate that only 10% of related OTC volumes already trade on SEFs, and by next week the shift might not happen overnight. Therefore, while SEF trading volumes should jump by then, overall volumes could dip before moving higher. 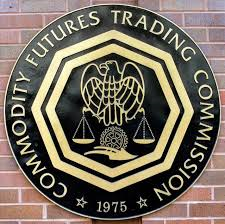 As the CFTC steps up its efforts to compile data submitted to SDRs from SEFs, it updated its data standards documentation to provide guidance to all SDRs to ensure key data elements are uniformly populated, formatted, named and enumerated, as these trade respositories collect data. 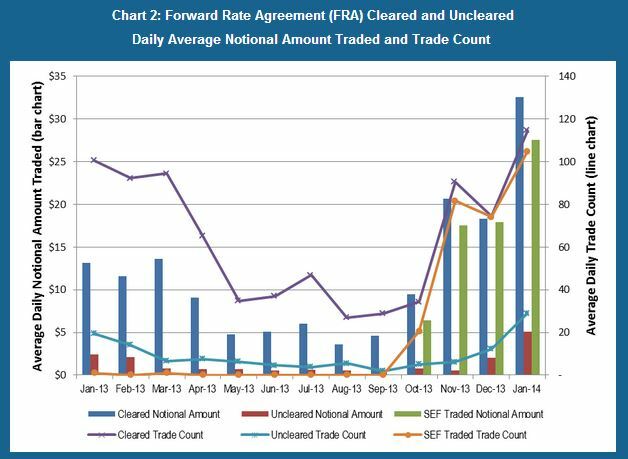 The uniform data elements were described as supporting the CFTC’s requirements to report across the OTC derivatives market and across all SDRs, as part of a larger data harmonization effort. As a large part of the OTC world prepares to transition towards a more listed and exchange traded or centrally cleared model, parallels between efforts in the U.S. and Europe look to become more harmonized, as regulators tackle common challenges surrounding these similar endeavors that are underway. 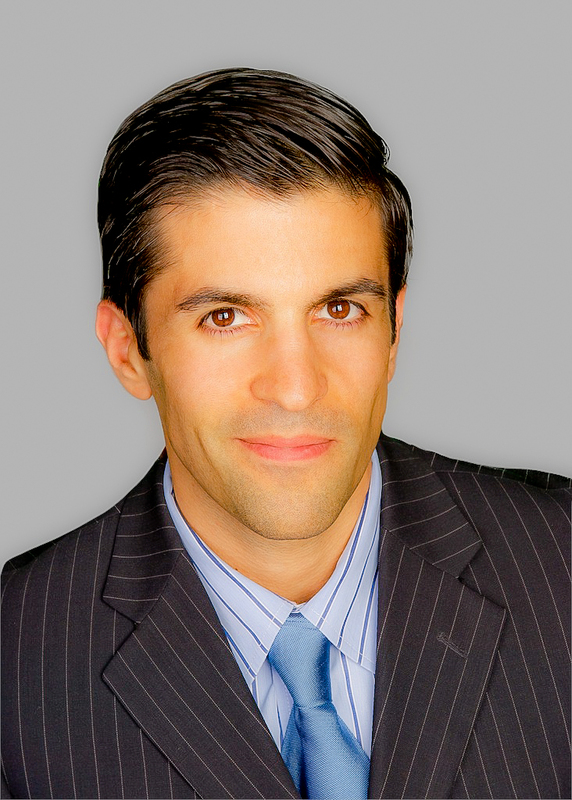 Using the recent effective reporting date for EMIR that just went into effect, Forex Magnates opines how there is still mixed interpretation as to whether certain firms could qualify under the Non-Financial Counterparties (NFC) which could exempt firms from reporting obligations, provided that certain notional value thresholds for related trading volumes are not reached. 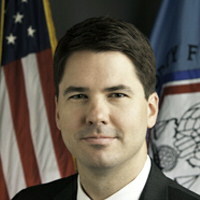 In Foreign Exchange related, for example, a 30-day rolling average is computed to measure whether a firm is below a $3 billion notional value threshold that could keep an NFC from having to report under a triggered clearing obligation after breaching above that threshold, with regards to EMIR reporting under ESMA rules in Europe. The CFTC’s Acting Chairman, Mark Wetjen and European Commissioner Michel Barnier announced that their respective agency staff members had made significant progress towards harmonizing a regulatory framework for CFTC-regulated swap execution facilities (SEFs) and EU-regulated multilateral trading facilities (MTFs), as contemplated under the Path Forward statement issued in July 2013, according to a press release from the CFTC this week. Just days earlier the CFTC said a no action letter would allow qualifying MTFs from Europe (that did have US customers) to be exempt from SEF registration on the basis that their approved MTF status would suffice, thus avoiding any overlapping in requiring a dual registration for a regulated function that is similar across borders. While a globalized or standardized approach to regulations across borders could indeed avoid overlap, the squeeze could also push out competition, if any resulting compliance burden is overbearing, namely for smaller firms which could be affected by a larger degree financially when comparing the added cost and/or human capital needed to meet such changes. As FX remains the largest of asset classes to remain mostly off-exchange, the prospects of OTC getting pushed to listed is becoming increasingly in favor of global authorities, and could be the next target using the growing FX rate manipulation investigations as an excuse to make FX exchange traded and/or centrally cleared. Forex has already been tightly regulated from the context of dealer oversight and rules pertaining to regulated members (such as in the US, UK, Japan, etc.). However, such an endeavor to make the entire FX market trade on-exchange would likely require many years to implement, at least across the major financial market centers, while a more gradual shift could cause such a change to occur more subtly. The solution however, may remain in making the OTC market more transparent without the need to necessarily make it go listed as in the cases.